One of my biggest insecurities in life, which impacts my writing insecurities, is my GED. In my first IWSG post I mentioned that I left school in the eleventh grade and this is the first time I am opening up about that period in my life. Looking back, the reason why I had to leave school is stupid. No one really is to blame. I’m not even to blame. I was a victim to a difficult circumstance, which left me trapped (in way) and unable to go to school. That is as much as I am going to say about the reason why I had to leave. And before your brain starts accumulating explanations . . . I was not pregnant, a druggie, nor a juvenile delinquent. Actually, I liked school because it was an escape from my home life, and I was a good student. 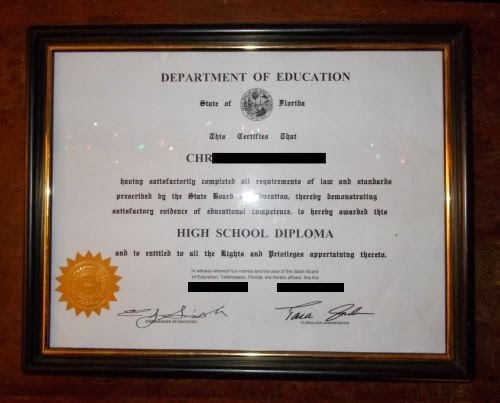 I worked on getting my diploma but afterward I found out the one I had, while it was legit, wasn’t supported by many schools. This was a major blow to me, and it took me a couple of years until I was finally able to take my GED test. I could’ve kept this a secret, but ever since I started my blog and mentioned I had my GED in one of my first posts, I knew that I wouldn’t. Why? Because I believe you don't need a diploma or degree to be a talented writer. And to anyone who has their GED, I want to tell you to be proud of what you accomplished because it is a great feat! Have you ever been insecure about your level of education? Please tell me about it. Maybe we can boost each other’s confidence. I'm quite new to blogging and enjoy writing novels. I live in England and have 'O' and 'A' levels but I do not have a degree. Sometimes I feel that this would deter agents from accepting me, since most novelists appear to have been to university, and also have degrees of some relevance to their writing. I'm so much older now with many life experiences, and I hope that counts, too. Believe in yourself and your writing ability. Surely, no-one would dismiss your work because there is a qualification missing? Hi, Fanny! Thank you for your comment! 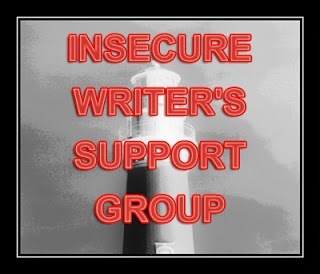 I used to think it would deter agents from accepting me too, but if we don't have a degree like these other authors who do, we just don't have to add it to our bios and query letters. The main thing they are looking for are publishing credentials. Of course, that is a whole other ball park. Life experiences definitely do count for a LOT! Degrees don't measure intelligence. I've met some really smart people who never finished high school. You're right, Kelly. I also know a lot of amazing people who hadn't finished high school and have so much to offer. I think it's great that you're sharing this because someone who needs to see it will see it and become inspired. Thank you so much for the reminder that people with GED's are not dumb. Sometimes life just happens! I work with GED students going back to school and 9 times out of 10, all they really need is a confidence boost. Anyone can study and improve their grammar. It's not rocket science. As someone who has 2 master's, I can tell you the key isn't smart; it's persistence. I look forward to congratulating you on your master's someday! Life does happen and it was because of life that I had to leave school. I was deeply upset because I loved school and was mostly a straight A student . . . math was my drawback. Secondly, you are absolutely right about the separation of talent from education. We are born with our gifts. Education might enhance them but it surely doesn't make any one human being better than the rest. Sometimes, I have to remind myself about this as well; especially in my line of work. Since I have to constantly surround myself with people who have graduated from Ivy league schools and are mostly millionaires, if not close to, billionaires, I have to tell my ego I am just as important as they are. We are all in this race together and as long as you have your talent leading your heart... you will go many places. And oh the places us writers do go! Lastly, to answer one of your questions, I have a bachelor's degree in English from Rutgers University. BUT with that being said, I remember thinking how obnoxious some of my teachers were. A degree is fancy and all, but it's the person behind the degree who has the integrity and choice to become something more than a piece of paper. And you are that and MUCH, MUCH MORE! Thanks for being so open, Chrys. Your story will enlighten others, truly. You definitely inspire me. Thank you for such a fabulous comment, Gina! Degrees only prove you were able to memorize something long enough to pass a test. I never went to college, which would've helped later when trying to find s decent paying job. However, I've been self-employed now for 15 years and make more than I ever would've with a JOB. And I have 7 books. So it's what we do with our lives that matter. Haha! Now that I think about it, that's what school really is about . . . memorizing things. But I would still like to go to college to at least prove to myself that I can do it. My husband and I have this conversation regularly: education VS experience. He talks about how in hiring someone at work, he'd way rather see a resume than a diploma. Still, when facing the job market way back in the day, it was nigh impossible to get a job without a diploma. I think our society attached way too much of a stigma to traditional education, and far too little on real world experience. I went back to school a few years ago and got a degree, but I really don't care about the peice of paper. I went back to get myself up to date on skills I would need for teaching my child through high school--things I'd begun to forget. What I discovered was that I'd developed KILLER research skills and could educate myself in most anything I wanted to learn. Thank you for your comment, Crystal! In the work place, not have a diploma and finding a job is hard. When I was a teen, I couldn't even get the work experience to build my resume because I couldn't get a job. I don't know if it was because I didn't have a diploma or my lack of skills (which I was desperately trying to earn), but it was difficult and no one would give me a chance to prove myself. I don't have a degree, going to university to get one was never really an option for me for many reasons. I watch my two girls going off to university and I sometimes think I wish I could have done that. But hey I've been to the university of life and that counts for so much in my opinion. Extra studying I have done in my own time and I am proud of that. Good for you, be proud. You have achieved a lot. Going to college hasn't been an option for me either and not just because of money issues. I may not be able to go off to university, but I still dream of expanding my knowledge and proudly receiving my degree. I think it's fantastic that you kept going, and that you're talking about it so people going through it don't think they're alone. That isn't my personal struggle, but I have a daughter who really struggled. She is at a community college, but nearly didn't graduate because school was just hard for her.... but she writes beautifully (it is math and testing she struggles with), so I think your story is encouraging for people like her. I was a problem child. I dropped out of high school, then went back to adult school and finished while still underage. In college I suddenly discovered I loved to learn...too much. Changing your major every six months does not get you a B.A. degree. LOL! Bravo to you for having the courage to share. I know it's something that bothers you and you'll help many others with your story. As for me, I've discovered the piece of paper doesn't matter. It's the thirst for knowledge which propels us forward. After leaving school and going to work, I was amazed by all the different paths people took to get where they were. When I was working in social work there was this lady who worked at one of my agency's shelters and she was THE brightest, one of the best at understanding human behavior. The shelter needed a new director and I suggested her name to my boss. Told him she could dance circles around a PhD. He hired her and one idiot in my office made the comment, but she only has a GED. At first I was insulted for my friend, but then I thought screw it. Let the twit who only respect letters after a name be limited by her own stupidity. Some of the dumbest, most narrow-minded people I have met had lots of letters after their name. And some of the brightest were drop outs. It really irks me when people think that just because someone had to drop out of high school and/or couldn't go to college that they aren't smart. Most of the time, they are the most intellectual people who just got dealt a bad hand. That's why, when I was depressed about not being in college, I would get so mad when my friends would complain about it because if I had been in their shoes I would've been grateful. And I wish I had known you before you dropped out! The program I worked in was Transitional Living. It was for teens who had their stuff together, but for whatever reasons, their home life wasn't workable. Our program would teach you to manage your own place, finish school, and stuck with you until you turned 21. There are plenty of kids who just don't have the support network some kids have, and it's not their fault. That program would've been a blessing for me! I always had a home, but after I left school I did move from place to place, from sibling to sibling, until things finally worked out. It was a hard time in my life and is still hard for me to talk about. Maybe one of these days I'll be able to share those stories as well. In a past incarnation (15 years ago), I was a classroom teacher. That means I do have a college degree (a couple, actually). My daughter, who I think is one of the most intelligent kids I know, is homeschooled. Unless she drastically changes her course in life, she will get her GED instead of a high school diploma. I will be even MORE proud of the GED than the diploma because it will really mean she earned it. There is no chance she could coast through to get that piece of paper from a school. Even as a teacher I never thought there was a stigma attached to having a GED. It is the right choice for a lot of people. I'm glad you are embracing that part about yourself. Just because you didn't get to wear a tassel on a square hat doesn't mean you aren't educated. Thank you, Leanne! It's nice to have a teacher's perspective. And what you said is an interesting way to look at the GED situation. I plan to home school my kids, but I never thought about them taking their GED. How silly I am! I think the GED is another way to finish high school. It doesn't prevent people from getting jobs or furthering their education, if they want to. Dropping out of high school, without taking the GED is another matter. That might lead to a few problems. It is another way to finish high school, but because you don't complete all the grades a lot of people still look down their noses at it. And a GED doesn't prevent people from getting jobs, but some employers do look at it like the same stigma. A degree doesn't always mean a lot though. I have a college degree, but it wasn't in writing. (I've never even taken a writing course.) Be proud of where you are now! I haven't taken a writing course either. I taught myself everything I know. :) Obviously I believe you don't need a degree to be a writer, but in many areas of my life, having my GED has almost felt like a shortcoming. I am working on changing that though. Great post. I finished HS, but when I went off to college I majored in flag football instead of the courses that I had selected. I hated my young immature self for a long time, but if I had finished like I was supposed to I wouldn't have married my wife. So looking back It irks me a little, but it is what it is. I now work at a university I never would have seen that coming. I like that your college dilemma lead to your marriage. Life works in mysterious ways. After I left high school, I focused on writing and getting published, so maybe if I hadn't left I wouldn't be where I am today. I'm finally getting around, what a week. Both my girls have GED's. One because of the influence of friends and a strong rebellious streak. The others because of bullies. Both are intelligent women. The fact that you corrected a youthful mistake is something you should take pride in. No shame here. Thanks for your comment on my post. I'm sending tons of encouragement and pride your way. It's nice to know that my fellow bloggers and authors don't see anything wrong with having a GED. This is really helping me to be more positive. This is a great post. I think people with GED's are great. Life just happens. Great point, Chrys. And you have right to be proud of your accomplishments. You should write a story centered around that. Or at least have a character who struggles with it. It's an interesting layer. Thank you, PK! And it's funny you mentioned that because after I put this post up, I thought I should create a character who has her GED who struggles like I did.